Tonic Studios is bringing out another fantastic range of Essential dies. The Attraction Simple Type die sets feature a fun, youthful and informal style alphabet and numbers. 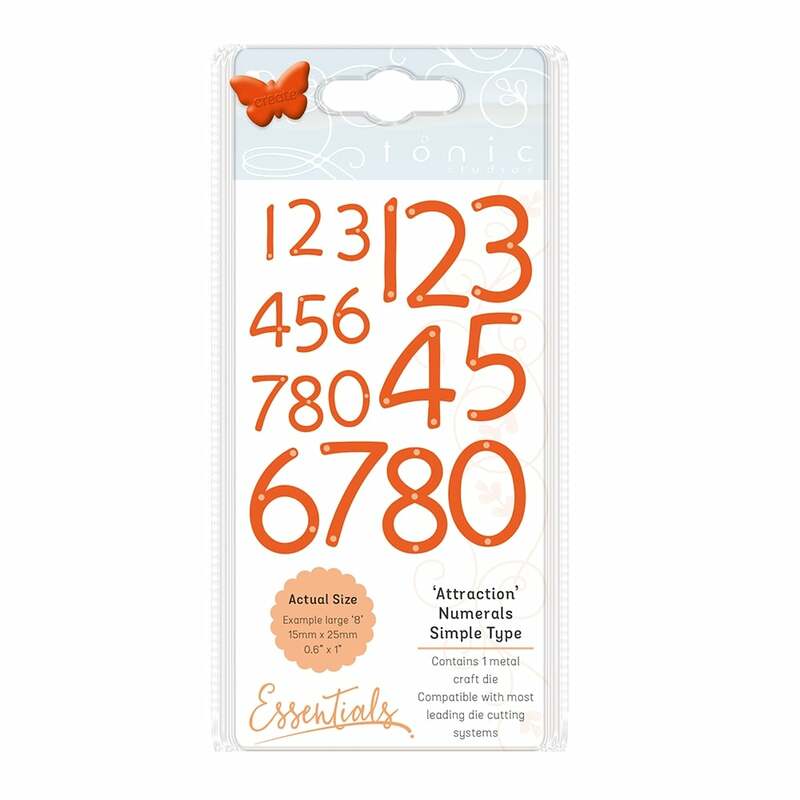 Our Simple Type numbers come with one die so you don’t have to cut out every letter/number. These sets are perfect for making that personal sentiment for any craft project.